The convergence of technical skill and witty subversiveness evident in Daniel Boyd's work has earned him acclaim rare for an artist of such relative youthfulness. The veracity of his work lies in his relentless investigation of the cultural tropes that inform and shore up the popular history of Australia's occupation. 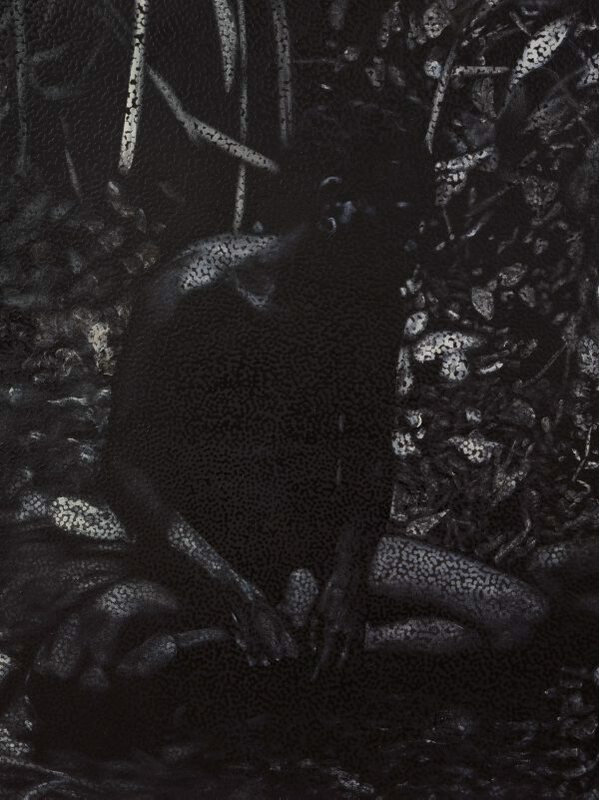 Exploiting European traditions of portraiture and archival material, Boyd questions the ethics of colonisation and furthermore, the influence of Eurocentric cultural interpretations of history on contemporary society. 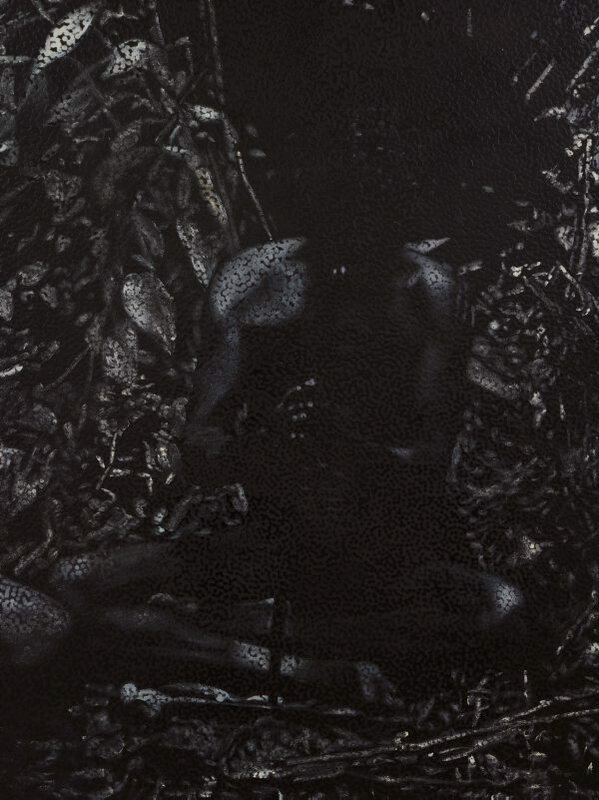 His recent works are highly personal and consider the connections he has to the locations in Australia and across the Pacific to which he has family connections. 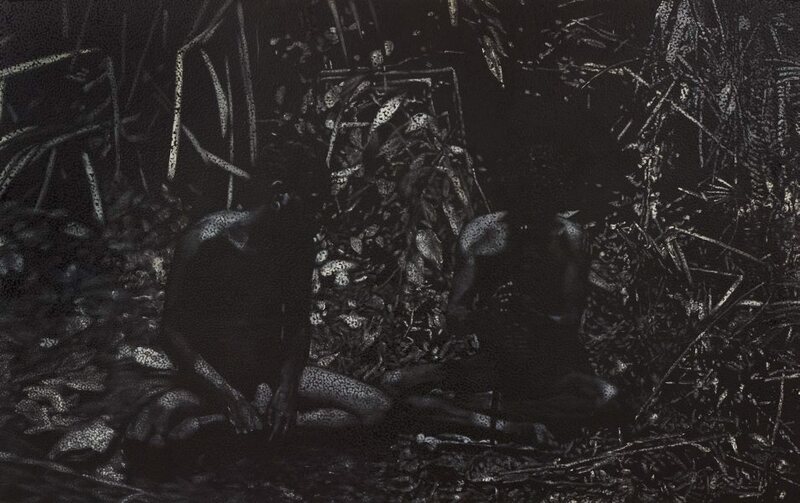 ‘Untitled (FS)’ 2016 is drawn from Boyd’s solo exhibition, ‘Far North’ and provides an intimate view of two figures seated on the ground, one watching the other light a fire with a firestick. Such is the scale and placement of the men within the composition, that the viewer occupies the location on the other side of the potential fire, becoming either a part of or an intruder to this tender moment. The image is derived from a photograph uncovered by Boyd in an institutional archive, which records that the men are connected to country to the south of Cairns. For Boyd there is a very personal connection to the image for he grew up in Cairns and has family connections to this region. Signed and dated c.l., verso, paint "DANIEL/BOYD/2016"